And Sandi backs up her encouragement, let me just tell you–she recommends me to everyone. I owe her for being the one to help me branch out into freelance work, and I think about half of my clients have come on her recommendation, LOL. So when Sandi asked me if I’d design a cover for her upcoming novella, you can bet I jumped on the chance to give back! 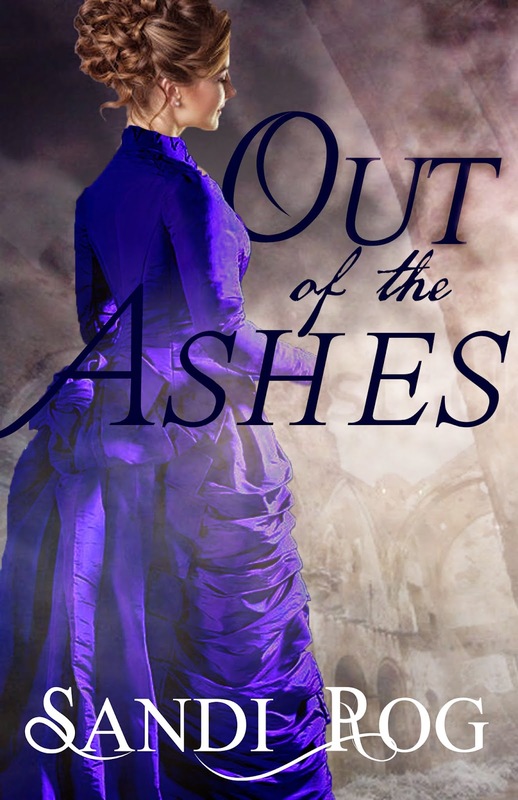 The book is set in the late Victorian era and is called Out of the Ashes–those ashes being from the Great Chicago Fire. So Sandi described her heroine for me and said she wanted her in a nice dress. 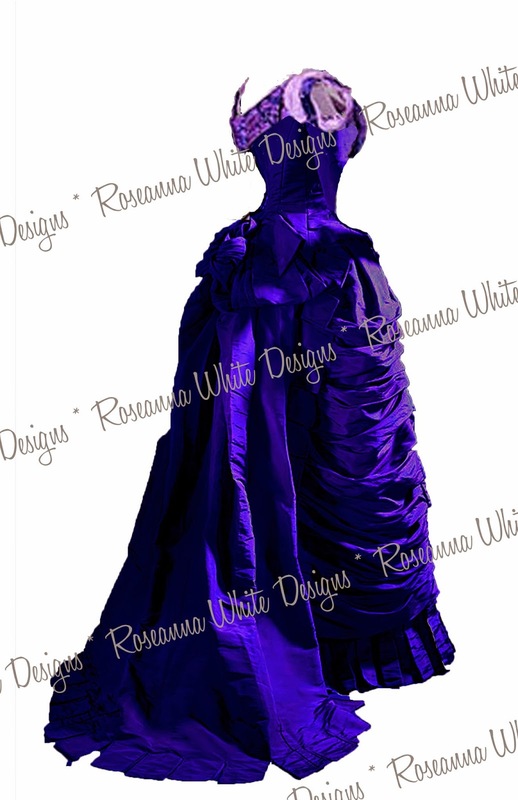 I knew the dress would be the tricky part of this design, so instead of searching for images of models to get begin with, I actually started with a public domain image of a dress from the correct era. I really liked the detail on the back of this, and the dress has the sheen of an evening gown, despite the long sleeves. 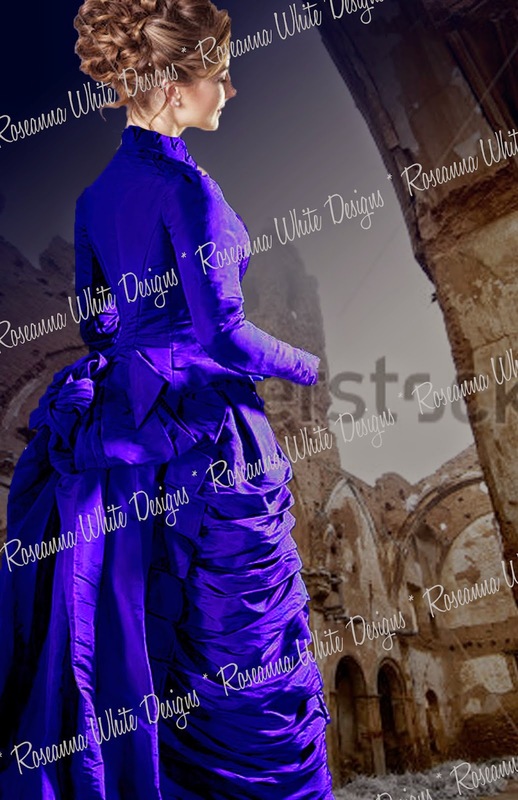 I knew Sandi wanted the dress to be blue, but for now, I was just happy to find a gown. I flipped it and deleted the background. 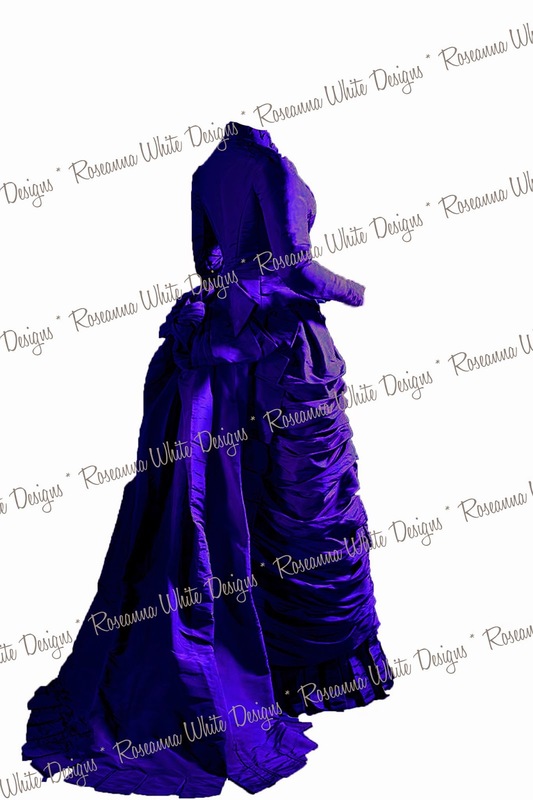 Then came the process of making the dress blue–royal blue. Now, anyone with any experience in Photoshop knows that it’s not too hard to nudge the shade of something a bit…but this was a BIG change. I went into Layer / Adjustments / Color Balance, pulled it toward Blue. Then did it again. And again. And again. With each change I also fiddled with lighting and highlights and shadows to keep the contrasts right. I ended up with this. Then came finding a person to put into the dress. 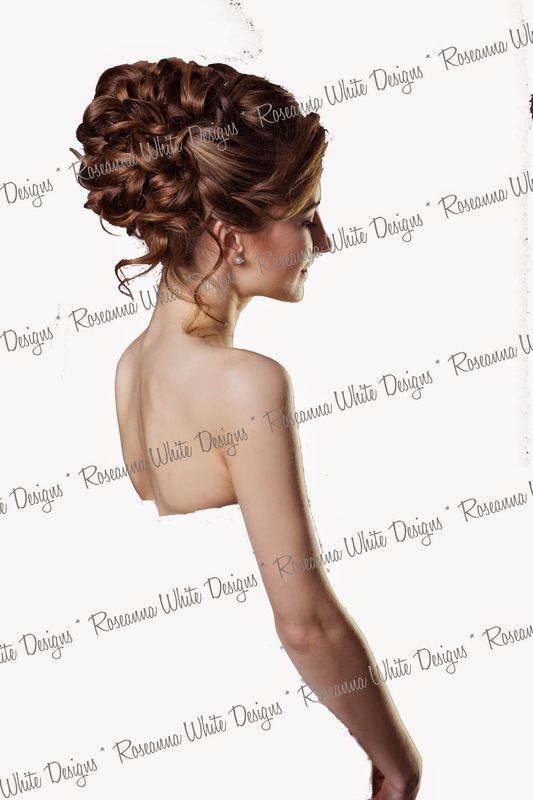 =) As usual, I searched for a bride that fit her heroine’s description, since they often have their hair up. Of course, she also had to be at the right angle, to fit into the dress. I found this one relatively quickly. As usual, my first step with her was to delete all the background–and in this case, her dress. Don’t you just love this step? So funny to see someone missing their body, LOL. So then we play dress up, and I put the girl behind the now-blue dress to see how they line up. Next I went searching for a background. 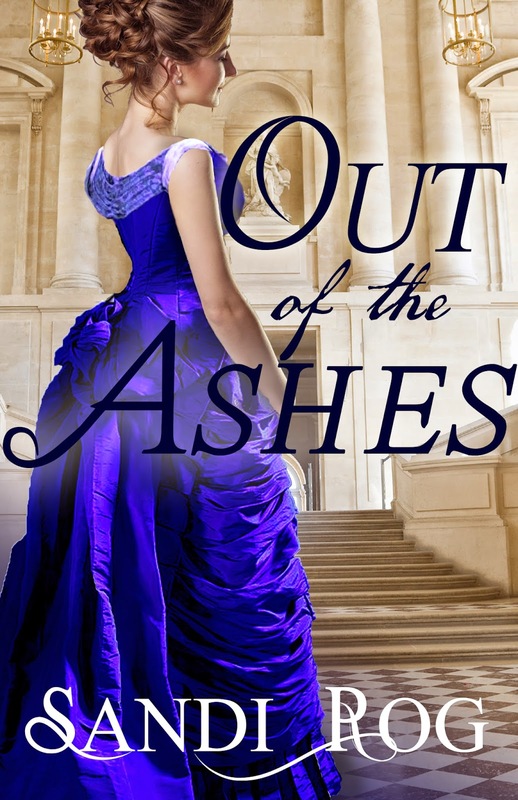 I didn’t know how literal the “ashes” part was, but I decided to go for some nice ruins and chose this background. Then made it more mysterious (woooooo) by making it night. (This is just a free smoke texture that some lovely designer offered to other designers.) I liked how this obscured the background…but she looked weird in front of it like that. So I duplicated the layer, moved it in front of her, and deleted all but a wisp. Better! I really liked this, other than the still-missing hand. 😉 So I added a title in the font hilariously called “The Last Font I’m Wasting on You” (with a script for the “little words”). And Sandi’s name, which combines two fonts–The Alistaren Beta for the first letters, and plain ol’ Times New Roman for everything else. The hand was still missing, but I went ahead and sent this to Sandi for an initial reaction. 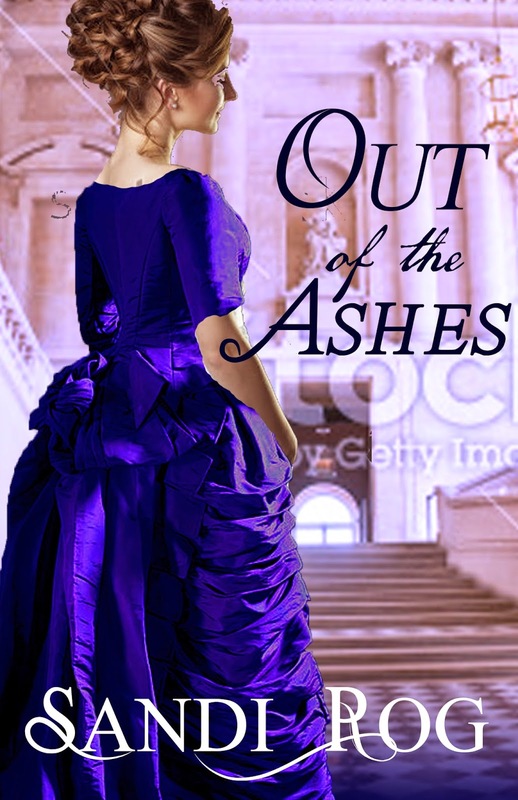 Which was that she loved it–and wanted me to save that background and smokiness for a later book in the series–but this one needed to be in a ballroom. Brightly lit. Oops! Guess I should have asked about that from the get-go, LOL. She gave me some direction on said ballroom–she wanted stairs–and off I went to search it out. You’d be surprised how few of these there are! But I eventually found this one. Quite a different feel, eh? 😉 Quick substitution, and I got this. 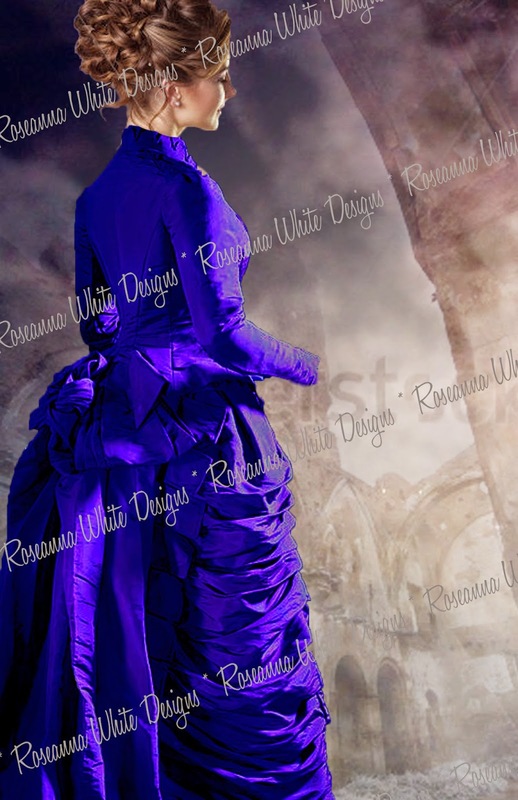 In this version, I tinted the background toward blue and did a quick alteration on the dress, just to see what we could do about that hand…and make it look more traditionally “evening.” By simply deleting the sleeves and the part of the dress covering her arm, I suddenly had a realistic pose. 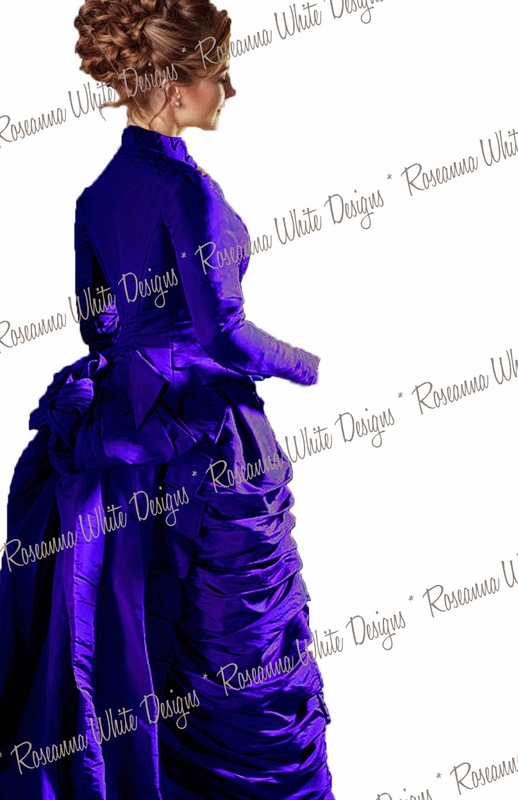 I sent it again to Sandi, who asked me to keep the background out of the blue tones and wanted some more alterations on the dress. In hunting down other dresses from the era I love, I came across my all-time favorite Worth gown. *Blissful sigh* Isn’t this dress just gorgeous?? 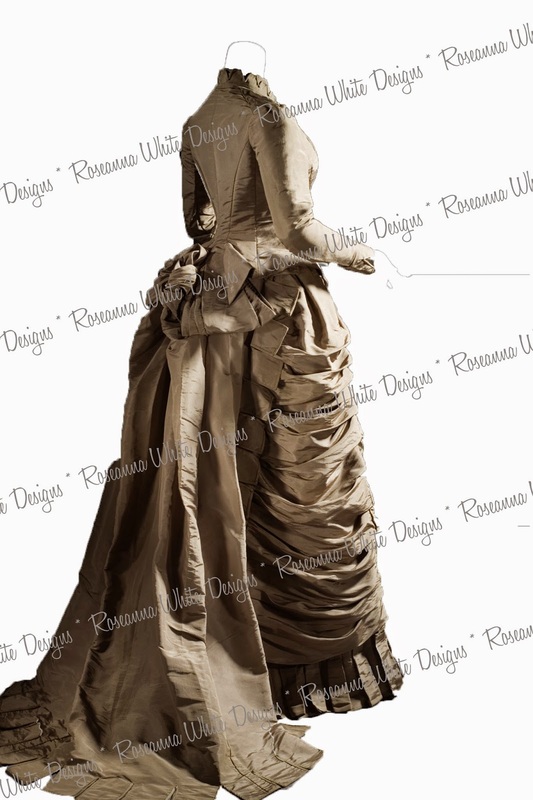 I dream of wearing this gown. Don’t ask me where I’d wear it to. Or how I’d afford it. Or whether a corset would have a prayer of making it fit. Anyway. This shot being from a similar angle, it gave me a good idea of how to recreate some of the elements. I designed a similar arm/neckline area. This looked promising! 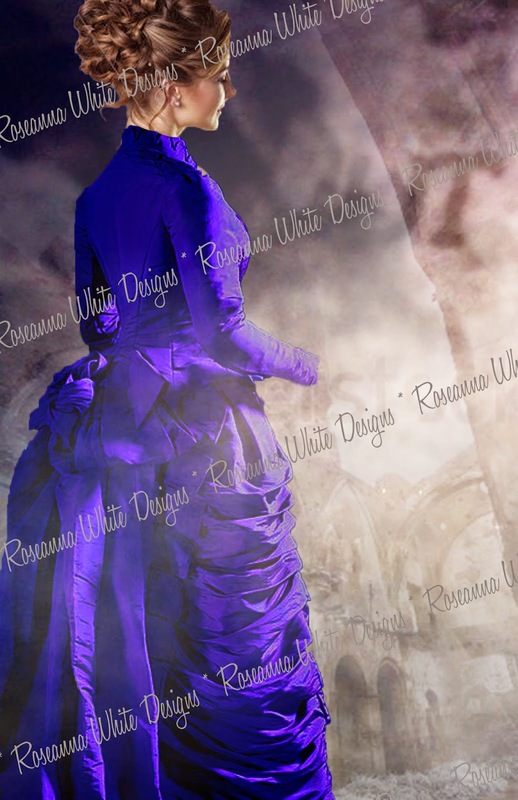 So I redressed my lovely lady, kept the original tones of the photos, added just a touch of bluing at the bottom to make her name stand out, a glow around “Ashes” for the same reason…and we had it. Sandi was in love, and so was I. I absolutely adore how this one turned out…even if redesigning that dress did stretch my abilities. =) Feedback thus far has been very positive, and everyone agrees that it screams “Christian historical romance!” which is exactly what we want it to do. Sandi posted a description of the story here.